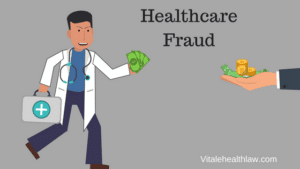 Common Healthcare Fraud Schemes – The Health Law Offices of Anthony C. Vitale, P.A. Last month’s indictment of more than 600 people nationwide in what the feds dubbed “the largest healthcare fraud takedown in history,” should serve as a warning that the government is serious about cracking down on those who abuse the system. As we wrote about in June, of the 601 defendants charged, 165 were medical professionals and the alleged crimes run the gamut – from accepting kickbacks to writing illegal prescriptions to billing for services that were not provided. In total, the government estimates that the individuals were responsible for more than $2 billion in fraudulent billing. In the Southern District of Florida, 124 defendants were charged with offenses relating to their participation in various fraud schemes involving more than $337 million in false billings. 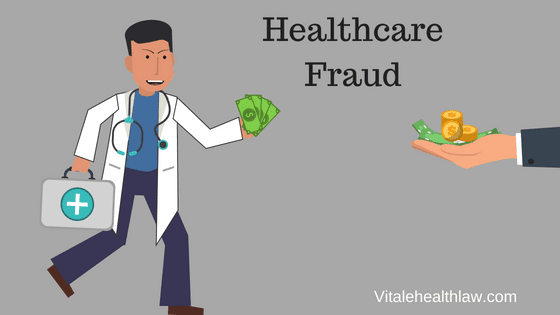 Although healthcare fraud schemes come with their own set of circumstances, many are taken from the same playbook. Here’s a quick rundown of some of those tactics being used and some tips on how you can spot such illegal misconduct. In such cases “patients” are recruited and paid for the use of their Medicare/Medicaid information. That information is then used to bill the government for services that either are medically unnecessary or never provided. Or, as in the case of a Georgia podiatrist indicted in last month’s nationwide sweep, physicians are paid to prescribe unnecessary drugs that are then billed to federal healthcare payors including Medicare, Medicaid or TRICARE. In such cases, providers intentionally provide medically unnecessary treatments or procedures as a way to increase their reimbursements. This is a violation of the False Claims Act, also called “The Lincoln Law,” which is the government’s primary tool in combating fraud against the government. In the most recent government roundup, the owner of a West Palm Beach sober house was alleged to have defrauded the government by, among other things, billing for widespread fraudulent urine testing that was not medically necessary. As the name suggests, a provider bills the insurer for services he or she did not provide, another violation of the False Claims Act. Providers must have documentation to show that the services were, in fact, provided. In the most recent round up, two women associated with a Miami-based home health agency are alleged to have billed the Medicare program $7.1 million and the Medicaid program another $369,000 for home health services that were not provided. In the recent round up, a Largo, Fla. doctor with a suspended medical license, was charged with conspiracy to distribute controlled substances in relation to his employment with a Palm Beach county substance abuse treatment facility. This occurs when someone tries to conceal the profits from an illegal activity, usually through the transfer of funds. A Miramar, Fla. man who controlled three Hialeah check-cashing stores cashed nearly $500 million in checks, which were allegedly primarily funded by healthcare and other types of fraud. According to federal investigators, the man allegedly cashed individual fraudulent Medicare checks exceeding $200,000, as well as U.S. Treasury tax refund checks exceeding $150,000. Last month’s crackdown involved a multitude of state and federal agencies around the country that included the FBI, HHS Office of the Inspector General, U.S. Secret Service, IRS, various U.S. Attorney offices, and more. In addition to facing civil and criminal penalties, those healthcare providers who are found to have engaged in fraudulent activities are excluded from participation in Medicare, Medicaid and other federal healthcare programs. From July 2017 until the announcement of the most recent crackdown, HHS said 2,700 individuals have been excluded from participation. The Health Law Offices of Anthony C. Vitale focuses its practice on healthcare fraud defense. Mr. Vitale represents clients under investigation by the Department of Justice, FBI, Office of the Inspector General, DEA, Office of the Attorney General Statewide Prosecutor and Medicaid Fraud Control Unit, Florida Department of Insurance Division of Insurance Fraud and other investigatory bodies. If you have any questions contact us at 305-358-4500 or send us an email to info@vitalehealthlaw.com.